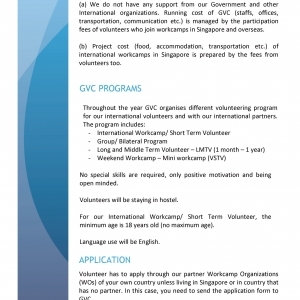 Global Voluntary Camps (GVC) is a non-profit organization based in Singapore. 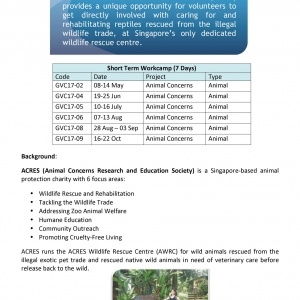 It is incorporated in July 2009 by the founders of X-Trekkers, Yeo Ching Kheeand Wong Yuen Lik, as an extension of their efforts to place students and working adults to oversea community service expeditions. 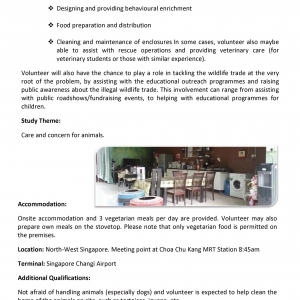 They, previously through X-Trekkers, have been organizing community service expedition with travel component to China, India and Malaysia. 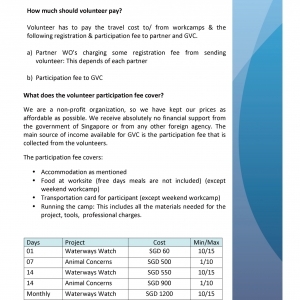 With the incorporation of GVC in 2009, GVC has taken over the role of community service travel. 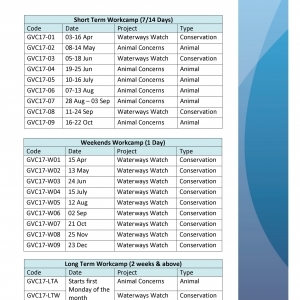 workcamps. 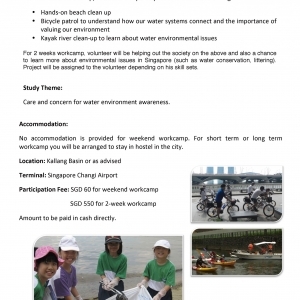 In 2010, we have also started organizing workcamps in Singapore to receive international volunteers. In Jan 2011, GVC became an associate member of NVDA. 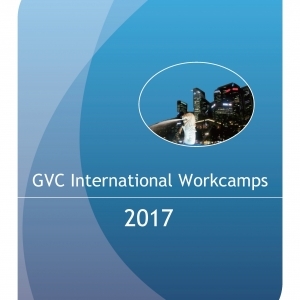 With the membership, and access to a wider array of volunteer workcamps, we strive to give more volunteers a chance to experience working and living in a workcamp. 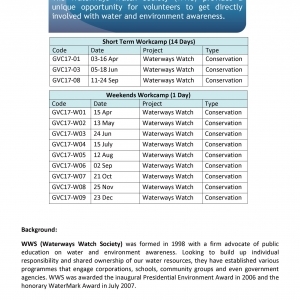 To support youth development and the organizing of activities, events or projects to assist in youth development. 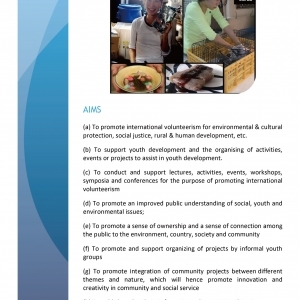 and creativity in community and social service. community. 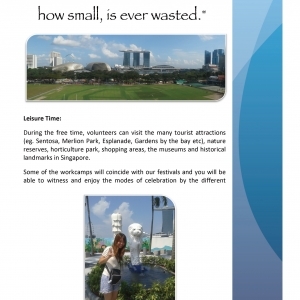 And at the same time, gives the participant key learning experience.